New Delhi: “The Department of Pharmaceuticals has informed the union health ministry that the National Pharmaceutical Pricing Authority (NPPA) under it has, during a study conducted on pricing of stents in the country, observed that bulk of medical devices including stents consumed in the country are imported and the difference between the landed cost and the Maximum Retail Price (MRP) thereof is very high. “These medical devices fall under non-scheduled category of Drugs Price Control Order (DPCO), 2013 and as such, no ceiling price has been fixed for these devices,” the Health Minister, Mr J P Nadda informed the Parliament on March 10, 2016. Health Minister also clarified the DPCO, 2013 provides for monitoring the prices of these devices and also ensures that no manufacturer, importer or distributor is allowed to increase the MRP by more than ten percent of MRP during preceding twelve months. “As per the direction of Hon’ble High Court of Delhi, a sub-committee has been constituted by the Ministry of Health and Family Welfare, seeking its views on the essentiality of coronary stents and their inclusion in the National List of Essential Medicines,” Mr Nadda added. Currently, Cardiac and Drug Eluting Stents are notified as ‘Drugs’ under the Drugs and Cosmetics Act, 1940. 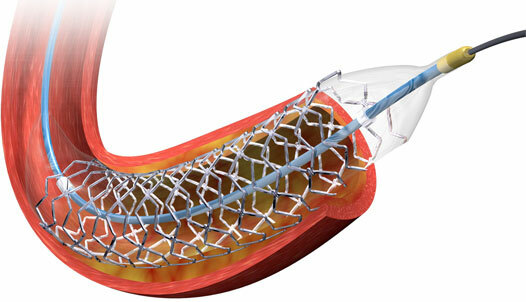 Health is a state subject in India and data regarding annual requirements of stents in the country is not complied centrally.